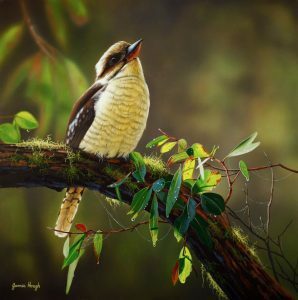 This site showcases the latest original paintings by James Hough. 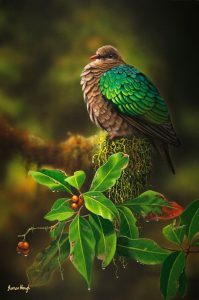 Original paintings can be purchased directly from the artist. myself in middle and Bill Whiting General Manager AFC. 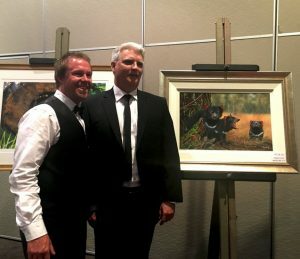 Pictured here: Tim Faulkner General Manager Aussie Ark Sanctuary and Australian Reptile Park and I and my donated original painting “The Devil you Know”. Last night I had the pleasure of attending the 2017 Devil Ark Gala dinner. 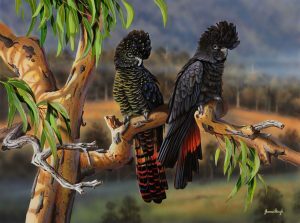 What an impressive night of fundraising not only for Devil Ark but also introducing the new Aussie Ark Sanctuary which is to be constructed alongside Devil Ark in the Barrington Tops of NSW. 2018 has been a very successful year for me Internationally and at home. Again this year two paintings of mine have been selected by an International Jury to appear in the 2018 Artists for Conservation virtual exhibition and both selected to appear in the annual AFC book and Calendar. 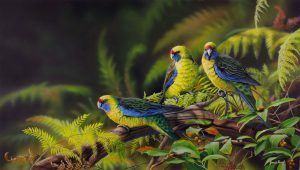 These paintings were : “Sanctuary” Green Rosella and “Time Like This” Kookaburra. 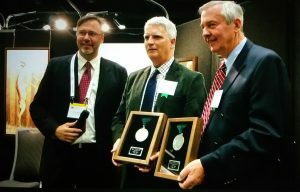 Both paintings won MEDALS of EXCELLENCE and “Sanctuary” won BEST IN SHOW. 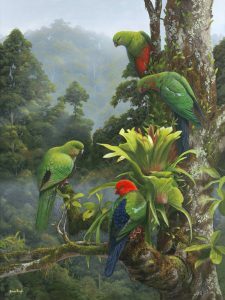 My recent painting “Hidden Paradise” King Parrots was selected as a FINALIST in the 2018 International Artists Magazine Wildlife art Challenge. 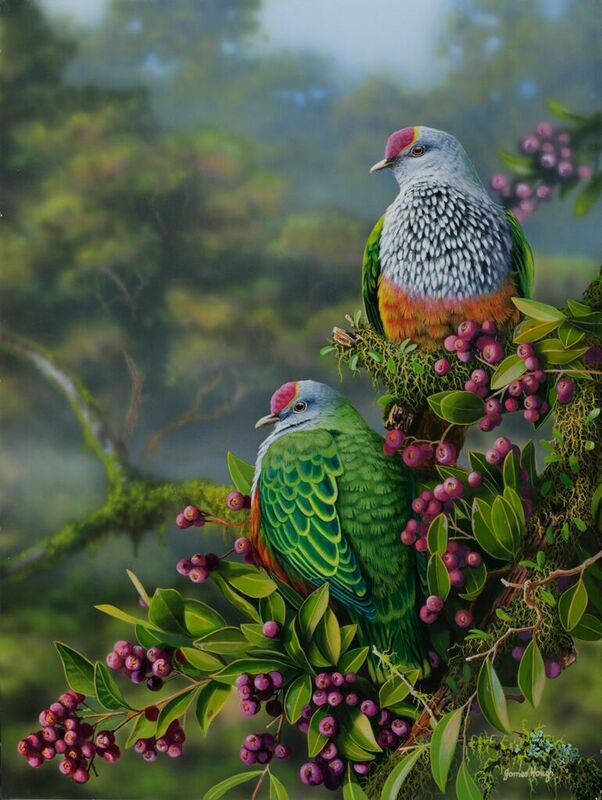 Exhibitions with Kevin Hills Australian Top Ten Artists have been very successful along with the annual Romantics exhibition Hunters Hill Sydney. Commissions still are a large part of my yearly routine.